Melbourne three-piece Loose Tooth announce their debut album ‘Keep Up,’ to be released on Milk! Records via Remote Control / Inertia! 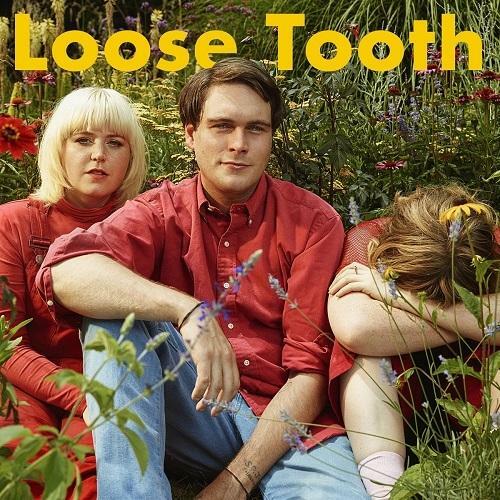 Loose Tooth are the latest exponents of Milk! Records - the DIY Aussie label founded and run by Jen Cloher and Courtney Barnett. With ‘Keep Up,’ the Melbourne three-piece have inked their impeccable ear for a hook on a fresh sonic palate; the howling guitars of their first EP ‘Saturn Returns’ peeled back to foreground the striking to and fro of the band’s distinctive vocalists. That’s three for three - Etta Curry (drums, vocals), Luc Dawson (bass, vocals, guitar, keys), and Nellie Jackson (guitar, vocals) - long time friends with a democratic approach to both songwriting and influences. Raised on the holy trinity of soul, country and Eddy Current, their debut LP is a living reminder that the B-52’s used to be a punk band and the light hasn’t gone out on the storied shores of St Kilda.